Our main ministry here in the Philippines is a Christian Counseling center (with a few other things as well). We are also on the board of directors of an orphanage. At one time, it was pretty easy to convince people that supporting an orphanage is a good thing. But this viewpoint seems to be going away, as far as I have seen. I know a missionary family that was completely cut off by their home church because they ran an orphanage. That church believed that churchplanting and evangelism was the only valid mission work (to be funded by Missions money). I know an orphanage that almost shut down because of lack of church support. Churches did not want to support it because “it’s not involved in churchplanting”. Where does this idea come from? I fear that there is a “pop missiology” going around that has drifted away from the Bible. It takes the Matthew version of the Great Commission (go, baptize, and make disciples) while ignoring the last part (and teaching them to do everything I have commanded). It also ignores Christ as the example of missions. 1. Evangelical rejection of the “social gospel”. 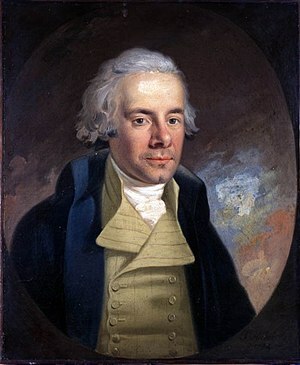 William Wilberforce was a great social reformer and Evangelical Christian, but with the growth of the social gospel (coined by Walter Rauschenbusch) movement near the turn of the century (as in 1900, not 2000), some see social ministry as being in opposition to “spiritual ministry.” The American tendency toward dualism makes it hard to see Christian ministry in terms of synthesis. If one is good, the other must be bad. Of course, the growth of religious pluralism in mainline groups tend to emphasize the risk Evangelicals see in too much focus on social work. 2. Apocalypticism. Christ’s return is meant to guide us to live a consistent faithful life. But some like to date set, and use that as a motivation to prioritize quick, short-term missions. Mission groups tend to fall into that trap as well. Back in mid-20th century missions organizations gave a strong priority to evangelism because of “Christ’s imminent return.” The AD2000 movement and others tend to create an artificial pressure for quick fixes rather than long-term change. 3. Spiritual dualism. Some tend to think that there are spiritual and non-spiritual activities. Traditional understanding of religion says that one of the purposes for religion is to label some things as sacred and others as secular. However, Christianity is founded on a more wholistic understanding. Love the Lord your God with all Your heart, mind, soul, and strength (very wholistic even at this point) is inextricably linked with Love your neighbor as yourself. Matthew 25 points out that loving Jesus while ignoring the plight of the hungry, thirst, homeless, sick, and others, is inherently a contradiction. A desire to “save souls”, while letting people starve, is not Christian. 4. Church Growth Movement. Don’t get me wrong. It is good for a church to grow. And I don’t believe that MacGavran, Rainer, Wagner, Hybels, Warren, Schwartz, or anyone else in the church growth movements, would see church growth as necessitating a rejection of social justice and social ministry. However, I suspect that the focus on the church growth as a good thing has led some churches and people at the grassroots level to see church growth as the highest goal, resulting in the deemphasis of other ministries that they don’t see as being directly connected with that growth. However, as the church growth movement went from missiological church growth, to popularized church growth, to 3rd wave church growth, to church health movements, there needs to be a broadening of perspective. Is a growing church in a dying community a good thing? Or should church health see itself as being bound to community health? Churches need to be trained in a solid missions theology that is drawn from a solid Biblical theology… not from pop missions fads. I do support evangelism, churchplanting, and discipleship. But the Bible makes it clear that God’s call is much greater. A church should never feel bad in caring for orphans, widows, the homeless, the downtrodden. This does not negate evangelism… in fact, our care for others makes the message of Christ more real, more relevant in this selfish world.